Ed Iskenderian's office and shop make me feel better about how my place looks. 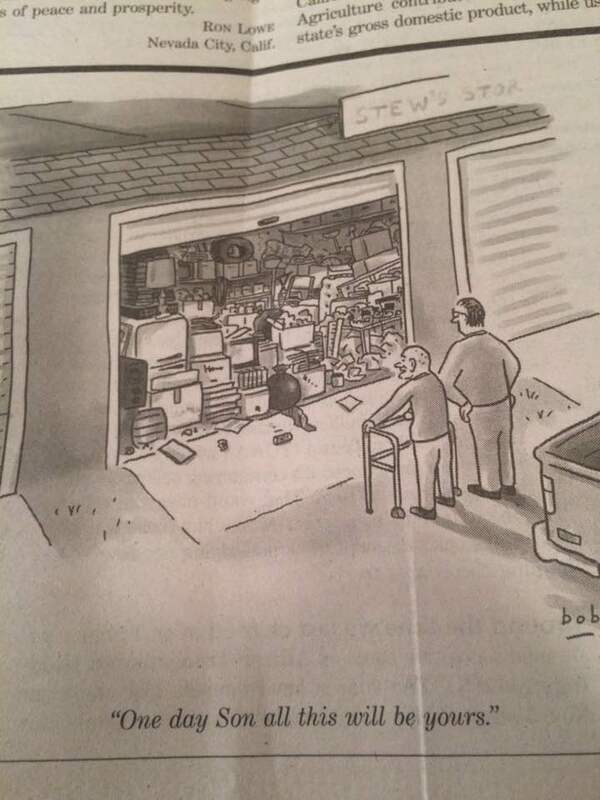 Great minds have their own system of organizing. Bet he knows which pile everything is in. Ed's the very last of the original hotrodders. It'll be a sad day when he leaves us. Things have not changed much since Carter found Tut's tomb in the 1920's. 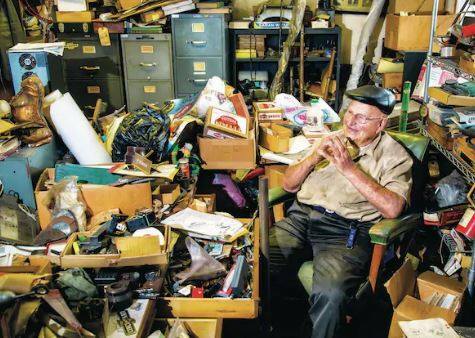 Looks as if he is a candidate for that TV show �Hoarders�. 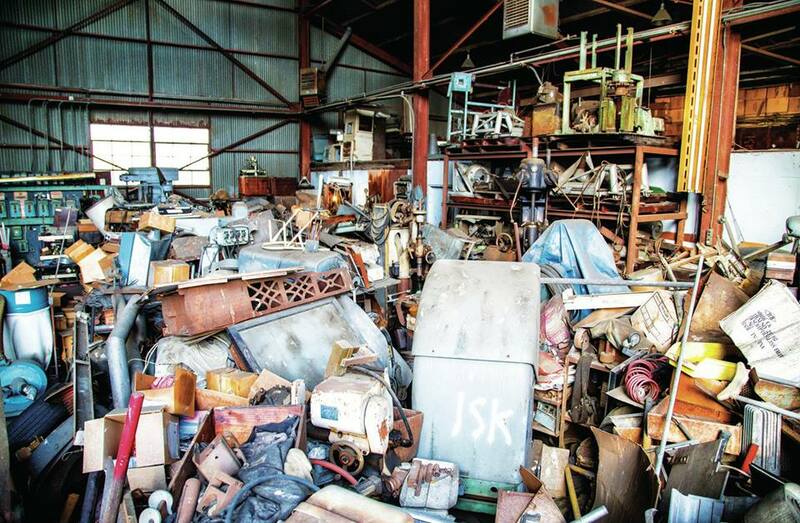 No telling how many treasures are in the middle of that pile. Isky actually has three offices. That is the current one, the other two are completely full. As one became too full to use, he moved to another and then another. He is almost out of room in this one. He still goes to work nearly every day and I believe he is now 97. I called the shop about 3 weeks ago with a question and was told that I needed to talk to Mr. Isky and was put on hold, a few minutes later I was talking to the man himself. And he built the finest t hotrod roadster ever. And better yet still owns it and never changed it. If all hotrods where like this I think you guys might like em more!!! 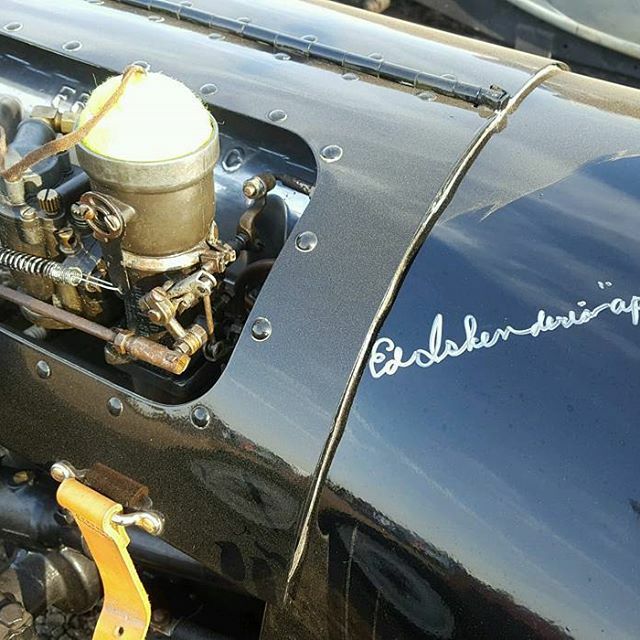 David -- Thanks for posting the pic of Ed's Roadster. I was going to but couldn't find one. That's a REAL HOT ROD!!! I plan on a car inspired buy it after my brass speedster is finished. 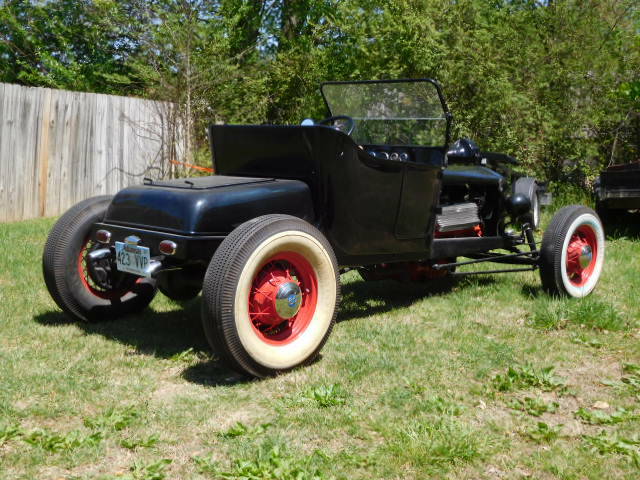 I will use a model a frame and built up model a flathead. I definitely will not be using a steel 23-25 t roadster body. 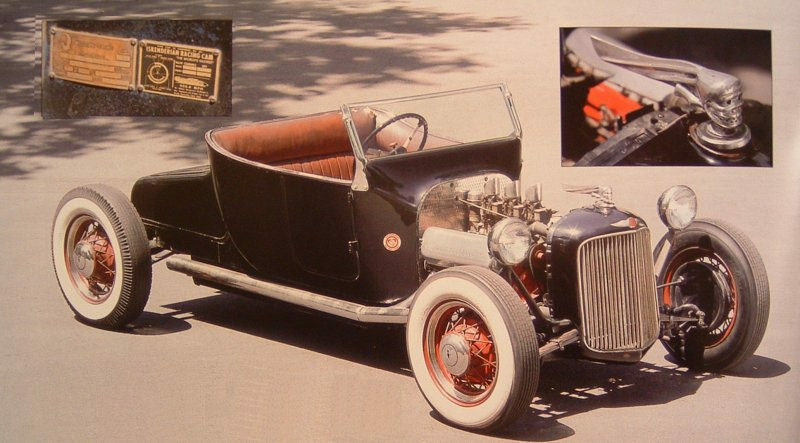 There are too few left and it�s got to be one of the best looking stock model ts that we�re built. It will take extra work to make a fiberglass body look real but well worth the trouble. It�s hard to not sell off all my stuff and do it now but I need to follow through and finish my speedster first. I found this today. 1963. Mr. Isky sure looks happy driving it, belly rubbing or not! I thought the same thing! Must have used a shoe horn to get behind the wheel! 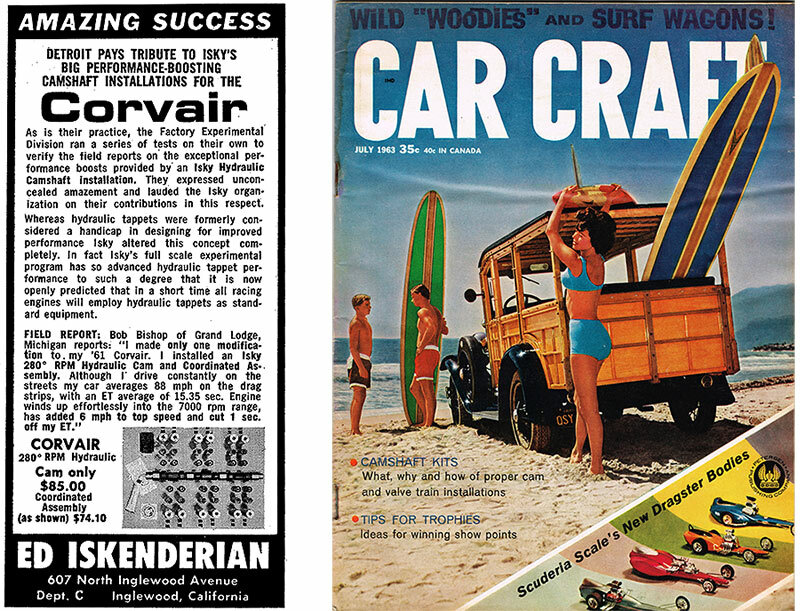 Isky built and raced that car in the late forties or early fifties when he was much thinner. He was making his own speed parts and experimenting with cams. 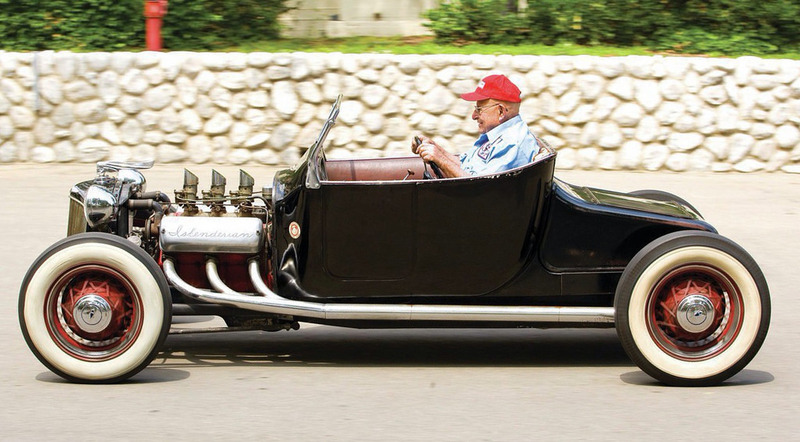 It is flathead powered with his own design one-of-a-kind, overhead valve, self-made cylinder heads. I don't recall now if they are also overhead cam or not. It's the real deal built by Isky himself. I took some inspiration from Ed's car when building mine. As a teen in the early '70's, I spent a lot of time at the local drag strip (Island Dragway in Great Meadow, NJ) watching the likes of Don Garlits drive his front engined Swamp Rat, The Bounty Hunter- Connie Kalita, Jungle Jim Lieberman, and TV Tommy Ivo slug it out on the 1/4 mile. If you didn't run an Isky Cam, you weren't in the club. Great memories of a bygone era! I had an Isky cam in my 400 inch sbc. It worked well. I met Ed a couple years ago at the Long Beach Hot Rod Swap Meet. He walked up to my space and said Good Morning! I said Well Hello Mr. Iskenderian. Without skipping a beat he pulled from his pocket a short nub of a cigar and put it in his mouth, pulled out of another pocket a business card and handed it to me.It was Classic! 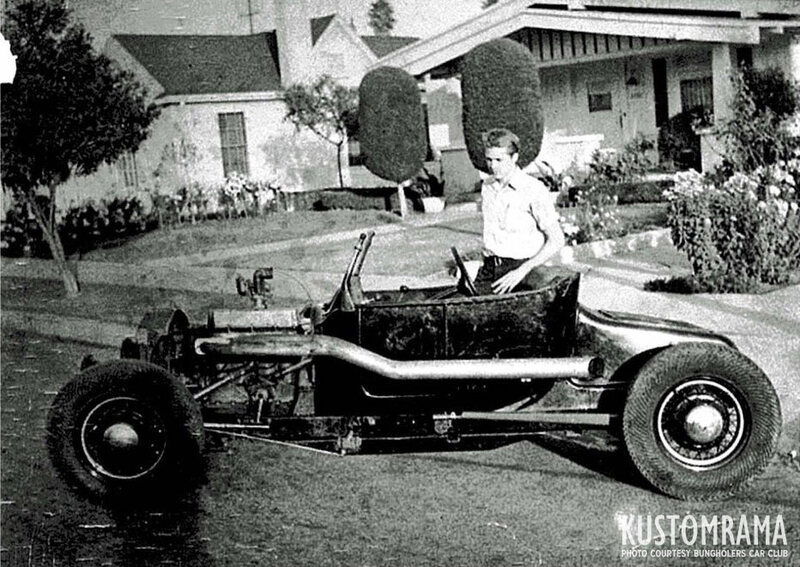 This is the Isky roadster before he got it. The shape was already there. It was first built by a man named John Athan. Athan grew tired of hopped of fours and sold the car to Isky so he could build a v8 model a roadster. That car is also famous and has survived unchanged. It is famous as well being predominantly featured in a 1950s Elvis movie. Can you just close your eyes and hear that huge exhaust!! 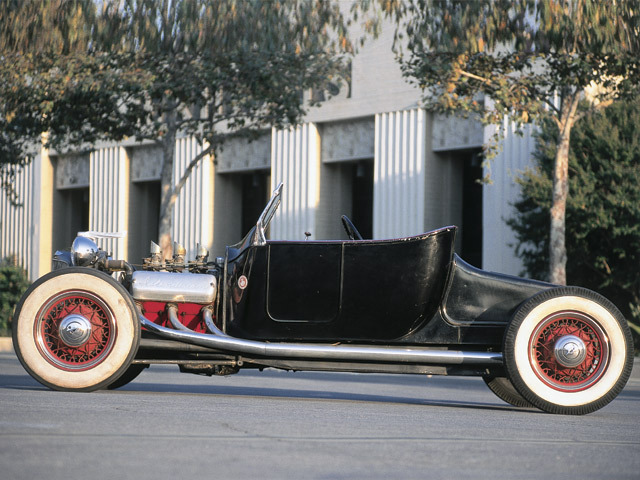 These early hotrods have such amazing America automotive history. Hell most have been hot rods far longer than stockers!! I Thank You and all others for sharing! What a Great Contributor to ALL! Cool car - RAJO powered !